Operation Thailand: February's Theme. Jump in. This theme was requested by the audience. 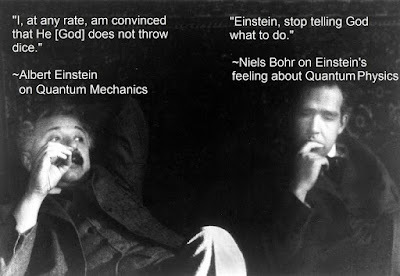 I essentially knew nothing about quantum physics but from bringing this up in conversation, it seems as though there is a secret underbelly of people who study and consume physics knowledge that does not come up in everyday conversation. Ask 5 random people in your life about physics, I bet one gets a huge smile on their face and wants to deep dive with you. 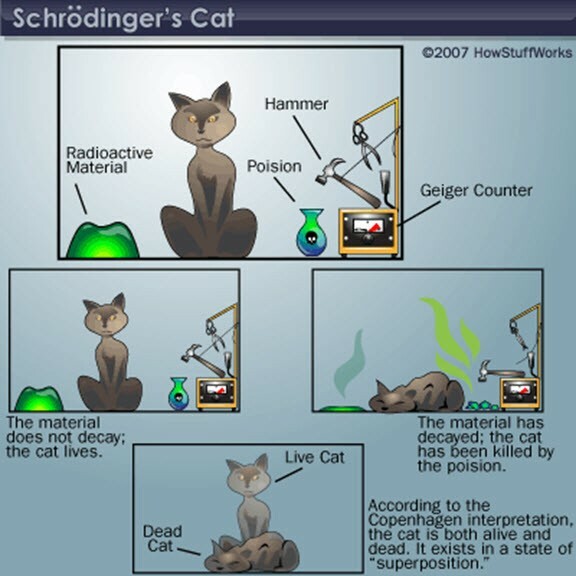 Why should you care about quantum physics? Maybe you took physics in high school and hated it. 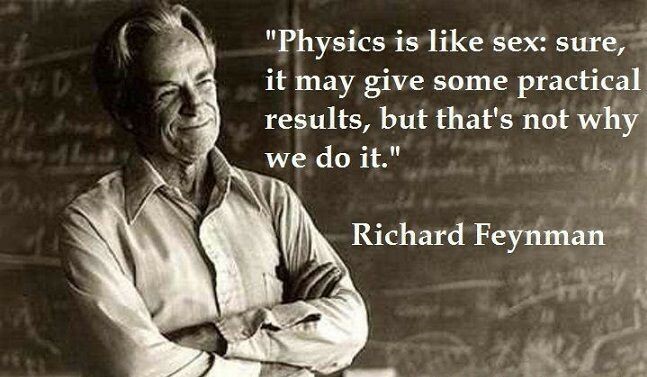 Maybe you don’t know what physics is. I’m still not 100%...or 20%. My answer to that is you don’t need to care about physics, the world, your neighbour or about what Bert writes about. You don’t need to care about anything but caring or at least being open to how the universe was created, how it operates and the laws that govern it are at least worth a second glance. Let’s glance together. 2- There are still many unanswered questions about how the universe works and its future. I feel like the field of physics is partly just to keep the thousands of researchers, teachers and scientists employed; there I said it…. 3- Let’s start with what we know, some pillars in the physics world, thought experiments, famous physicists, vocabulary, and some links for continued learning. It is the study of nature, how the world works involving seen and unseen events. Attempts to solve atom to planet sized problems. How does physics affect your daily life? Physics touches every aspect on earth from gravity, magnetism, heat, traction, inertia, force, electricity, GPS, electricity, MRI machines, silicon chips which are in every computer, sports, rollercoasters, lasers, nuclear power plants, and almost any area is somehow related to physics. 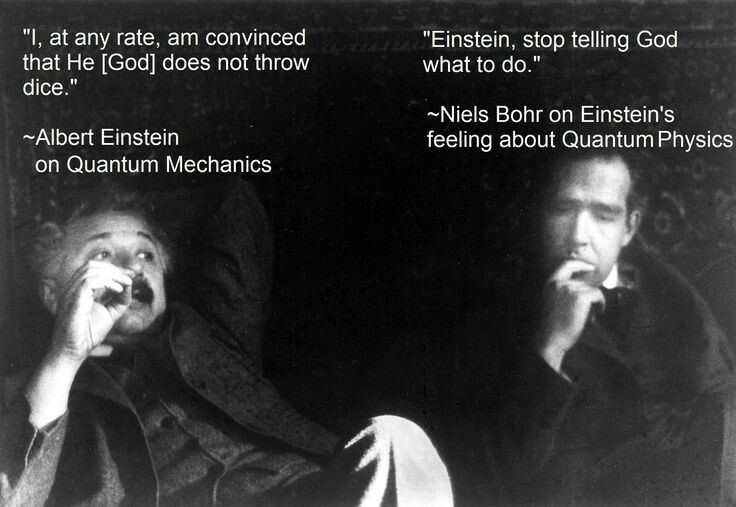 The current consensus on General relativity and quantum mechanics disagree. They can’t both be right. There must be something missing. For each possible outcome, world splits into copies of itself. Decision not to do something, another parallel universe exists where you did. 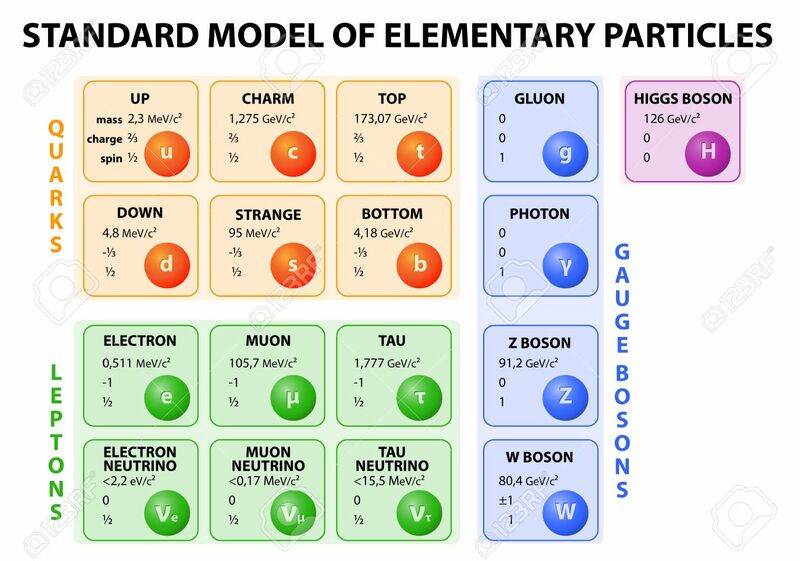 Quantum particle can exists in multiple states at the same time, but sometimes they are in specific states. Running, walking and swimming example at the same time. A widely-known tenet of quantum mechanics (and science in general) is that the simple act of observation changes the outcome of an event. Invented calculus and formed three laws of motion. General Theory of relativity, solved the riddle of the photoelectric effect, Nobel Prize for physics in 1921 and E=mc2 to name a few. Transformed our view on the atom and founded quantum mechanics. 1932 Nobel Prize for Physics and many contributions in quantum mechanics. Polish (win), discovered Radium and Polonium and won two Nobel prizes. Created the idea nanotechnology and Feynman diagrams, Feynman Integrals, and really cool guy. The tiny particles called atoms are the basic building blocks of all matter. Black holes are the strangest objects in the Universe. A black hole does not have a surface, like a planet or star. Instead, it is a region of space where matter has collapsed in on itself. This catastrophic collapse results in a huge amount of mass being concentrated in an incredibly small area. The Copernican principle (in its classical form) is the principle that the Earth does not rest in a privileged or special physical position in the universe. What this basically means is that in science, you shouldn't assume that humans have a fundamentally privileged position within the universe. The term inflation refers to the explosively rapid expansion of space-time that occurred a tiny fraction of a second after the Big Bang. In another tiny fraction of a second, inflation slowed to a more leisurely expansion that continues to this day and is accelerating. Dark energy is the name given to the force that is believed to be making the universe larger. Distant galaxies appear to be moving away from us at high speed: the idea is that the universe is getting bigger and has been since the Big Bang. Measurements are now good enough to allow astronomers to tell that these galaxies seem to be accelerating away from us. 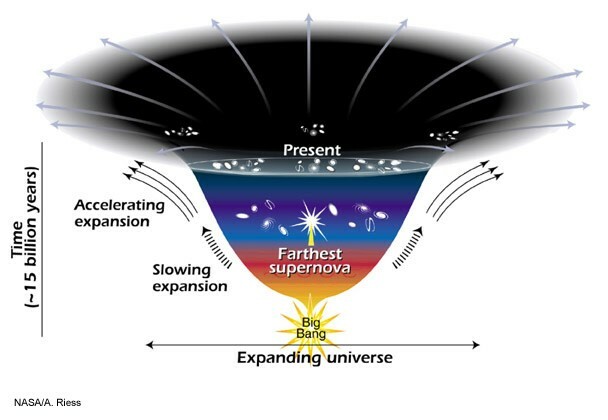 The universe is expanding at an ever-increasing rate. Hypothetical form of matter that is believed to make up 90 percent of the matter in the universe; it is invisible (does not absorb or emit light) and does not collide with atomic particles but exerts gravitational force. A measure of how much matter is in an object. the matter of which the earth is made. 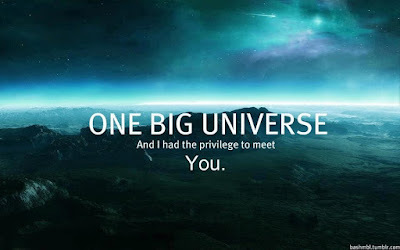 Hypothetical space or realm consisting of a number of universes, of which our own universe is only one. The universe considered as lacking order or a single ruling and guiding power. The theory that microorganisms or biochemicalcompounds from outer space are responsible for originating life on Earth and possibly in other parts of the universe where suitable environmental conditions exist. The smallest chunk into which something can be divided in physics. Recreates conditions right after the Big Bang to see what particles existed when the energy density of the universe was high. 17 mile loop. Hope to find undiscovered particles. Massive, expensive science experiment. 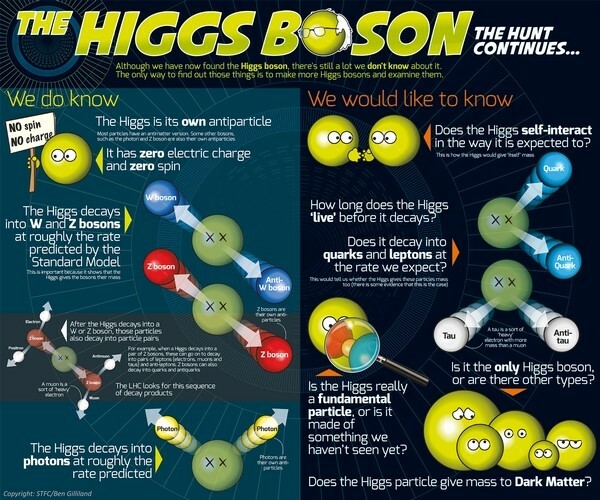 A quark is one of the fundamental particles in physics. 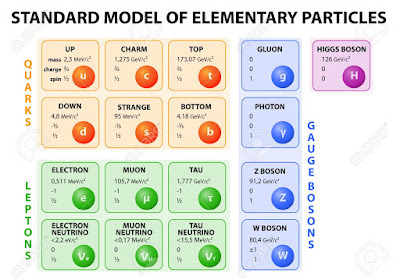 They join to form hadrons, such as protons and neutrons, which are components of the nuclei of atoms. Not alone. The Universe is everything we can touch, feel, sense, measure or detect. It includes living things, planets, stars, galaxies, dust clouds, light, and even time. Before the birth of the Universe, time, space and matter did not exist. The Universe contains billions of galaxies, each containing millions or billions of stars. The space between the stars and galaxies is largely empty. However, even places far from stars and planets contain scattered particles of dust or a few hydrogen atoms per cubic centimeter. Space is also filled with radiation (e.g. light and heat), magnetic fields and high energy particles (e.g. cosmic rays). A wormhole is a hypothetical passageway in space-time that would connect a black hole and a white hole. A white hole is the other end of a black hole that has poked through to another part of space-time. To most theorists, wormholes are highly speculative because such a shortcut would, in effect, act as a time machine. Big Rip: The universe continues to expand until it is torn apart. If god exists, where did he come from? 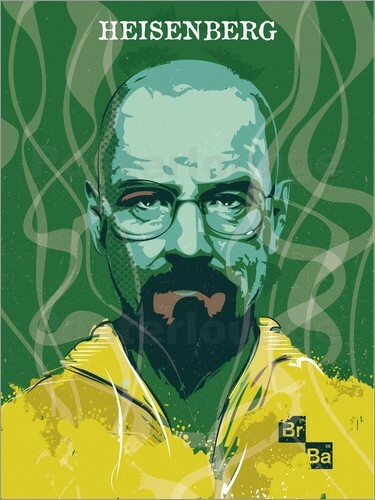 Why more matter than anti matter? So where does all this leave us? 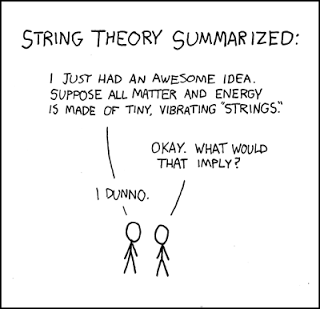 On the plus side, there is so much unknown that anyone can have a theory and it be plausible. The mystery of the world at the quantum level mystifies young and old and has people craving more. I’m sure many late nights have turned into sunrises discussing the origins, future and possibilities of physics in our universe but until a major discovery happens, there is too much unknown and disagreement to fall in love with this topic. Quantum computing and quantum cryptography seem like practical and somewhat feasible accomplishments in the hopefully not too distant future. In a way, quantum computing taps into nature's ability to interact with the world. That might be a tough thought to comprehend, but it's only the tip of the iceberg. 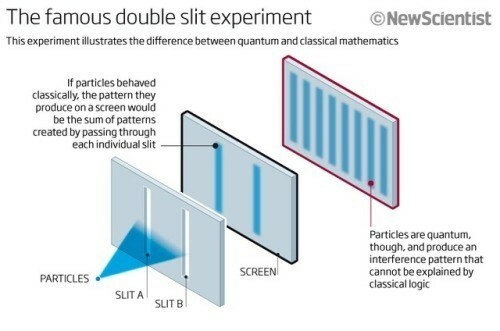 For example, quantum particles can exist in two places at once, move forwards or backwards in time, and even "teleport" by way of what physicists call "quantum tunneling." Theme for March is AI so stayed tuned. Spring has almost sprung. Enjoy everyone. Crash course physics or tons of other subjects. Learning is fun.